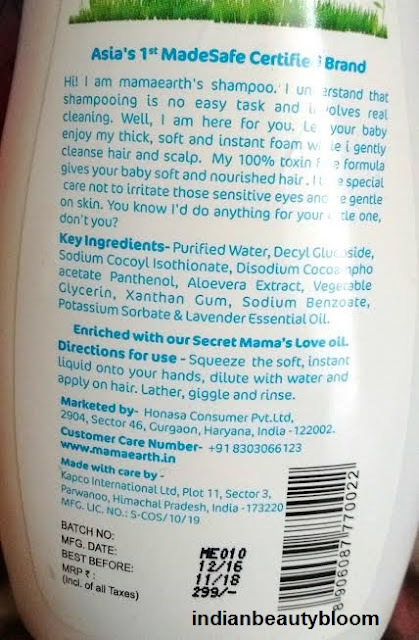 It’s Gentle Cleansing Baby Shampoo . 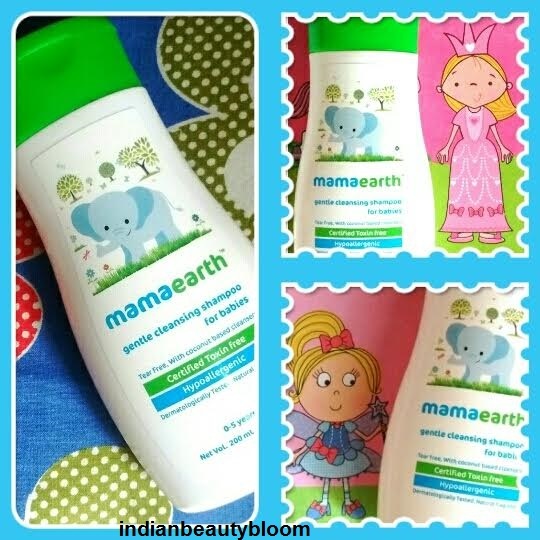 Mama Earth is a new brand in Indian market which aims to provide toxin free baby products to consumers . They do not use any harsh chemicals , preservatives or colors in their products and their product go through safety tests so to ensure that safe products reaches consumers . They have wide range of Skin Care and Hair Care products for kids . 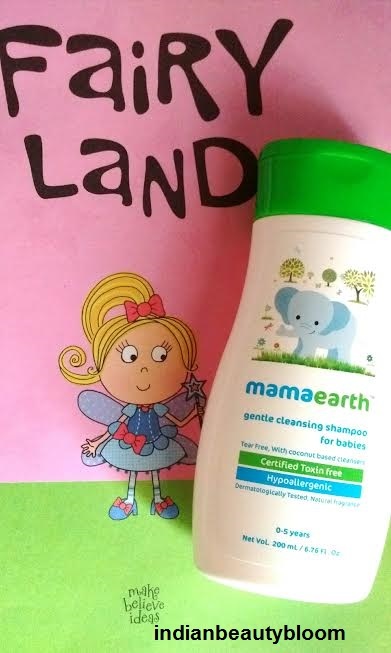 This Gentle Cleansing Shampoo is a Shampoo for infants , new born babies and kids . It’s a tear free shampoo with PH 5.6 which is ideal for babies . It’s Dermatologically and Clinically Tested in Europe and is safe for sensitive skin . The product has a cute packaging . 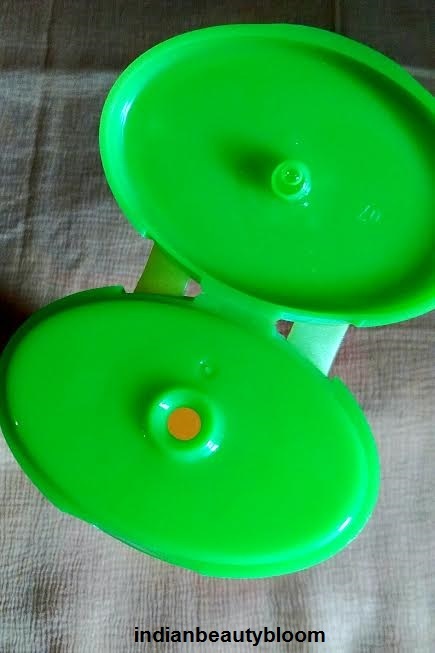 The flip flop cap makes it ideal to take out little amount of shampoo from it without any wastage . 1. Contains Natural ingredients like aloe vera extract , Lavender essential oil etc. 2.Does not contains harsh chemicals . 3. Has a nice mild fragrance . 4.Product packaging is good . 6. Tear free formula ( essential for small kids ) . 7. Has PH 5.6 which is best suited for babies skin. 8.Clinically and Dermatologically tested . 9.Hypoallergenic and safe for sensitive skin . 10. Cleanses scalp and hair well . I like products which are chemical free and are safe to use . This brand Mama Earth is Asia’s 1st Made Safe Certified Toxin Free Brand . So one can use this for their kids without worrying about its ingredients and other safety factors like PH value . This shampoo is a mild shampoo , still it cleanses scalp & hair well . It’s White color thick shampoo with a nice mild fragrance . I am using this shampoo for my little one and I really liked the product . 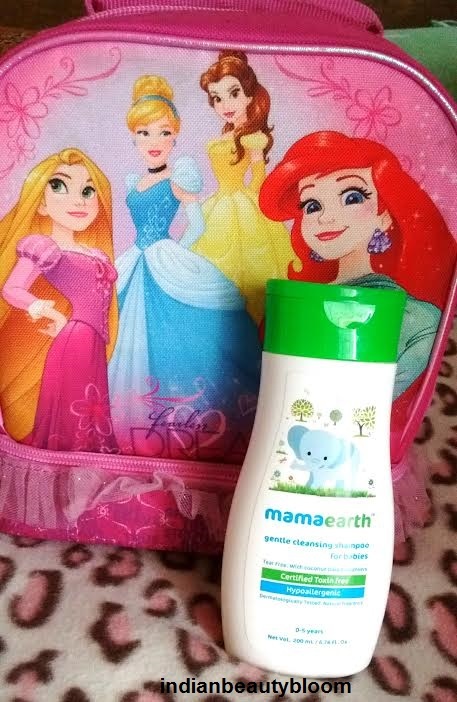 Would surely recommend this to all as its a safe product and ideal for small kids as its a tear free shampoo and it does it work well .